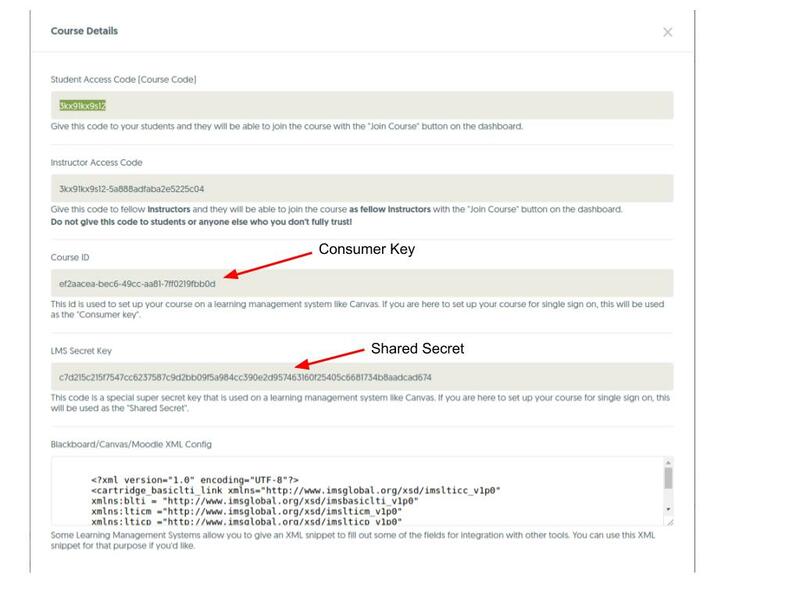 This is a tutorial on linking your Mimir Classroom course to your Moodle course. 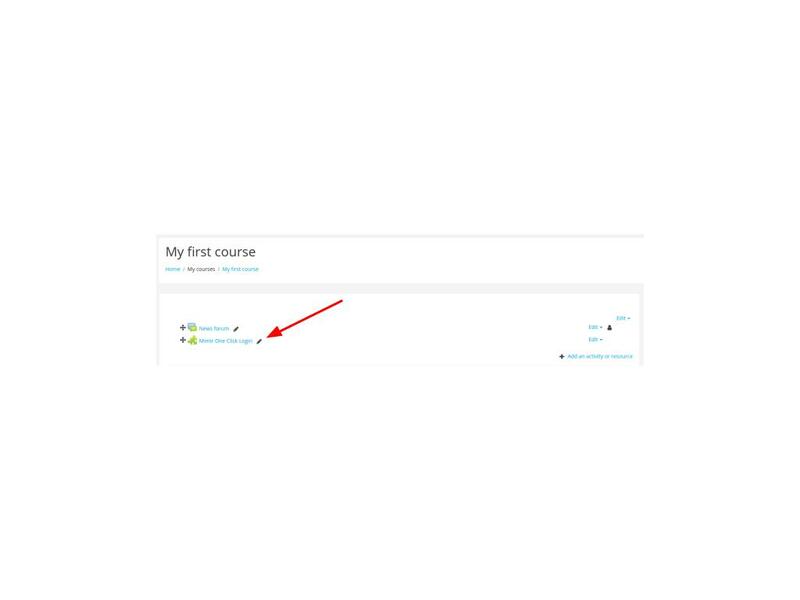 First, log into an instructor account on Moodle and your instructor account on the Mimir Classroom. 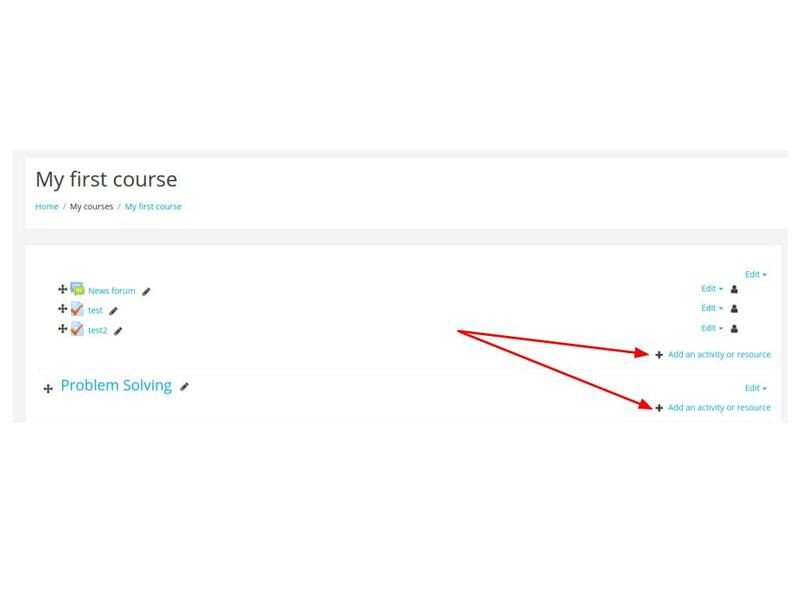 Using Moodle, your students will never have to go through the Mimir registration process; they can simply click a button on your class’ Moodle page and they will automatically login to Mimir through a linked account. You should only have to perform this setup once per course. 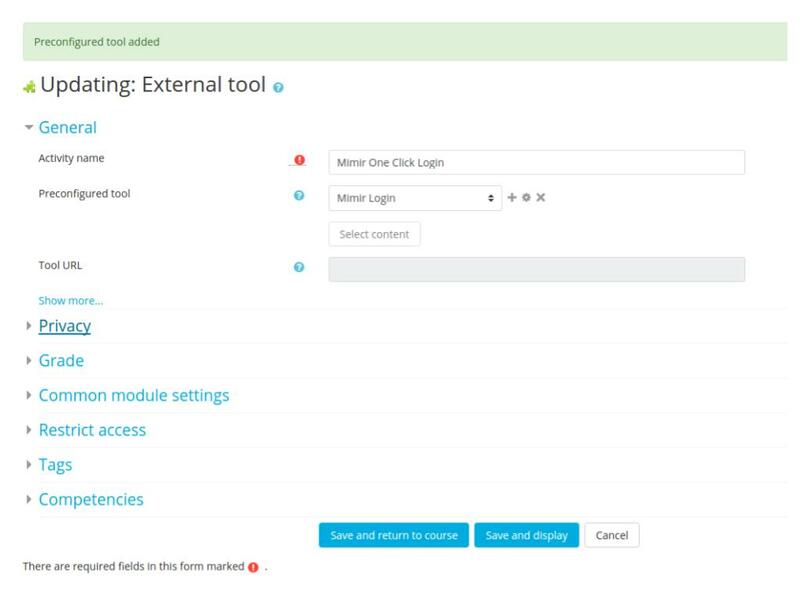 For Tool Name and Tool Description you can fill out whatever you want to indicate to the students that the tool will allow them to log into Mimir and submit their assignments. For Tool URL, copy and paste this link: “https://class.mimir.io/users/lti_login”. Additionally, select “New Window” for “Default launch container” and check “Force SSL” for security. For the privacy drop downs, we recommend switching to “Always” for all three. The first two will make it so when your student first clicks the link, it will automatically create their account for them, since your LMS will tell us their name and save us the trouble of having to ask for it. The last one will allow us to update grades with Moodle. 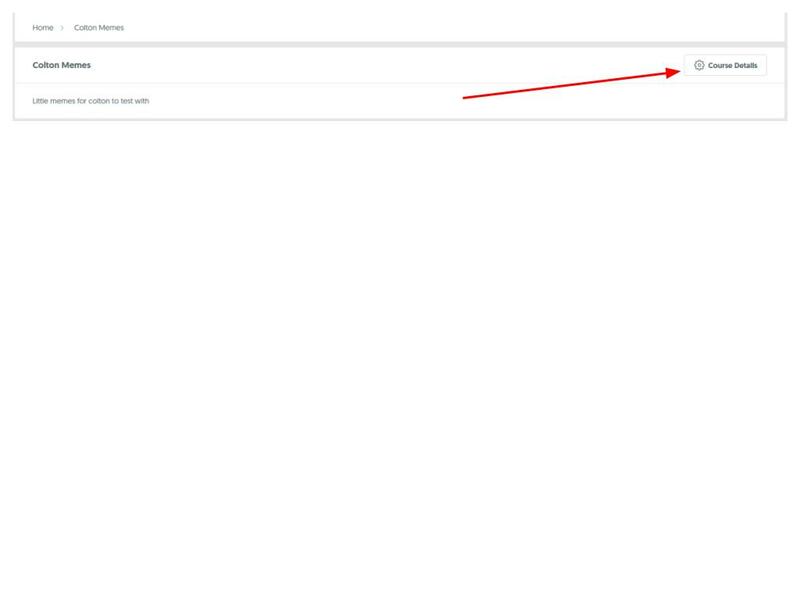 Once that’s done, click save changes, and you should return to the Create External Tool page. 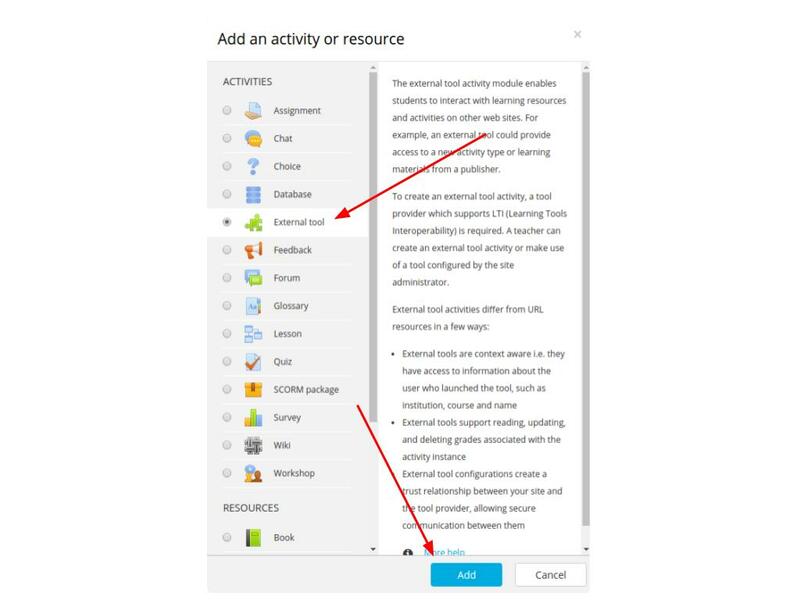 For “Activity Name”, pick a name that your students will help your students understand that clicking this link will take them to the place where they can submit their Assignments. For preconfigured tool, select the tool you just finished creating, and for Tool URL, paste this URL once again “https://class.mimir.io/users/lti_login”. 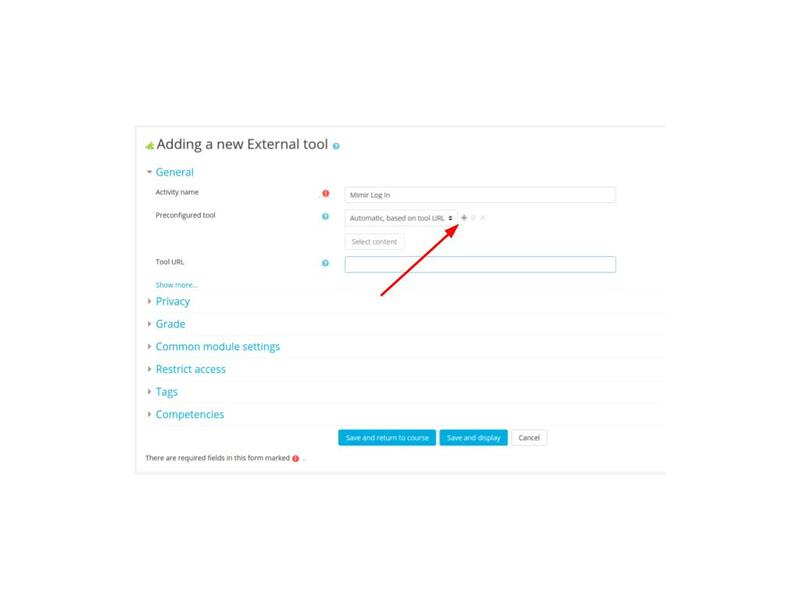 Note that the Tool URL box may gray itself out after you’ve selected your preconfigured tool, which is just fine, and means that Moodle has auto-filled that box for you. After that, click “Save and return to course”. 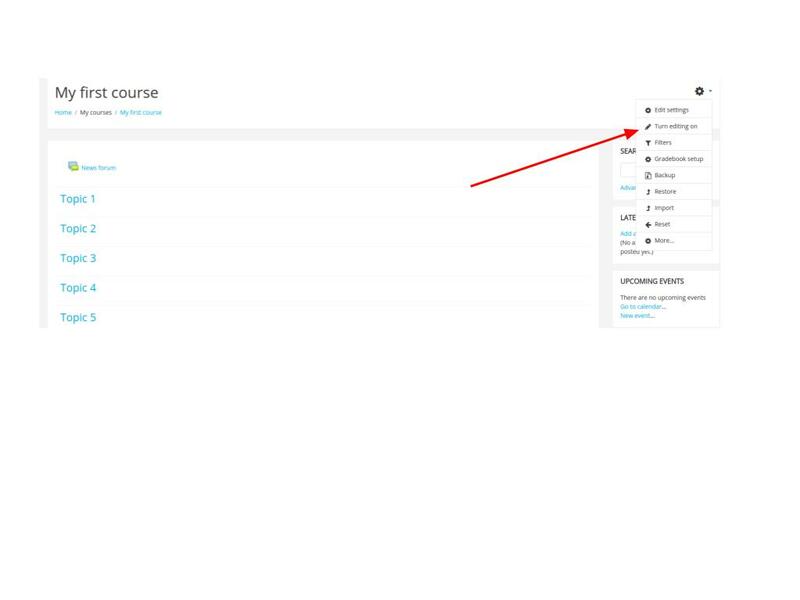 You should now see your One-Click login link on your course dashboard. You can move it into different topics, and adjust whether or not students can see it as you please. 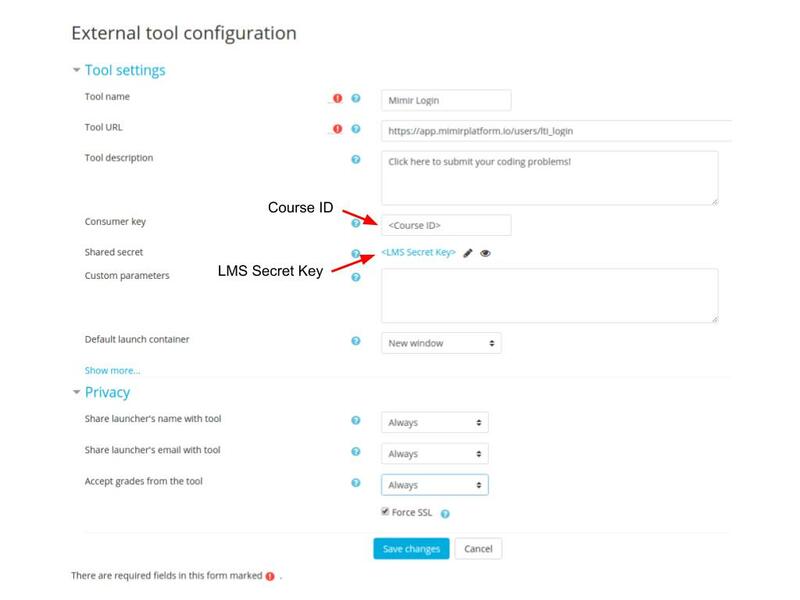 When students login to your campus Moodle, they should be able to click the link to login to Mimir instantly. If you have had any trouble at all during this tutorial, feel free to click the button in the bottom right corner of Mimir Classroom to message us, or send an email to support@mimirhq.com; we’ll usually get back to you within a few minutes. We’d love to hear your feedback and improve our documentation.